Hello my friends! I hope your week is off to a great start. I'm glad you stopped in today. I'm linking up with Gina and Tamar for the second week of P52. The prompt for this week is "details." 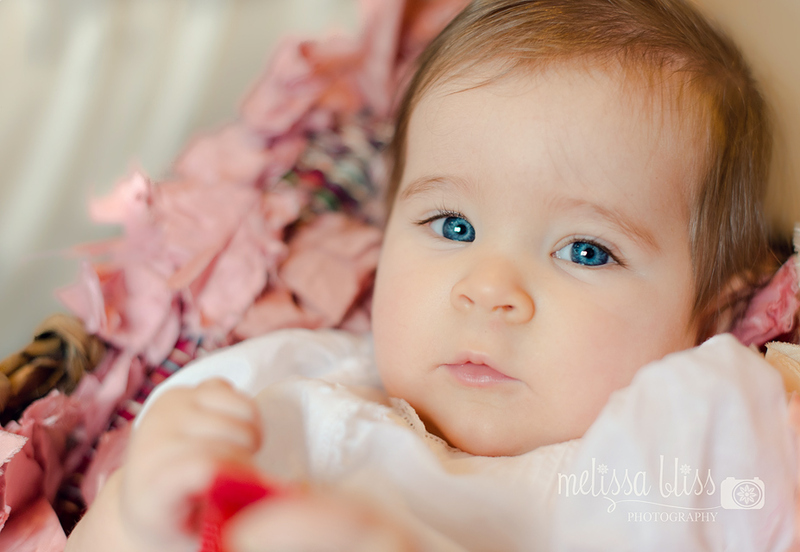 I had the pleasure of a photo shoot with sweet Little Sophie on Friday. I photographed her twice before and she is now 7 months old. She was so happy and alert, and is sitting up now like a big girl. I had a blast with her. I took a lot of props and changed my set up a few times, but my favorite images ended up being the sweet little details in the close ups. More pics of this Little Lady will be coming this week as I squeeze in some editing time. Oh my word her eyes are SO blue! Wow!! Thanks for linking up! Sophie is absolutely precious, and this photograph is just beautiful. Such a lovely angel. Very beautiful eyes as well. Oh what a treat to get that opportunity more than once. She is a doll! Well done! She sure is locked in on you...and those eyes...beautifully captured! Super precious!!! Those eyes are to die for! So sweet! Love her baby blues and the catch lights that make them sparkle.